DELF (Diplôme d’Etudes en Langue Française) and DALF (Diplôme Approfondi en Langue Française) are the only French language Diplomas certified by the French Ministry of Education French.It has been held in more than 160 countries around the world, with more than one million applicants. The Alliance française de Taiwan is the only institution in Taiwan authorized by the French Ministry of Education to host the official DELF-DALF French certifications. 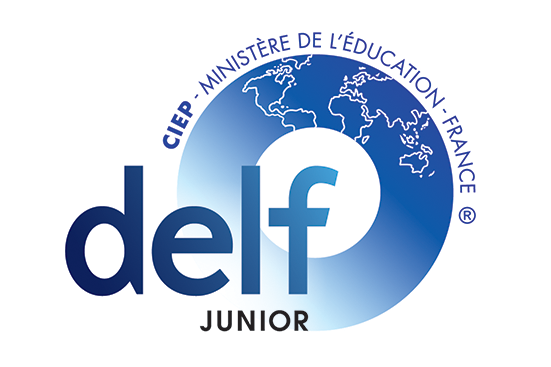 For students from junior and senior high schools, DELF Junior has the same structure and value as the DELF Tout Public. Topics are chosen to match teenagers centers of interest. The diploma awarded is identical to the standard DELF diploma.The degree of French language is set according to the Common European Framework for Language (CECRL), and counts a total of 4 levels : A1, A2, B1 and B2. All levels include four tests: listening, reading, writing, and speaking.